Have other clutches of dinosaur eggs been discovered? 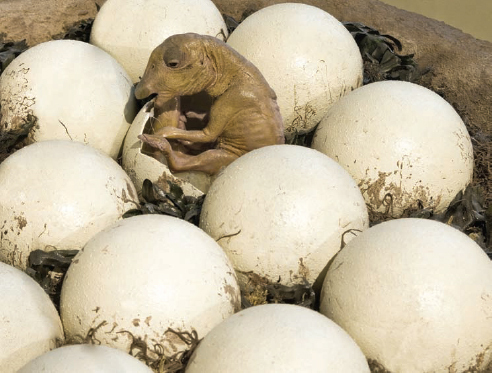 Yes, there are hundreds of sites around the world that have large clutches of dinosaur eggs. For example, in a remote area of Argentina, in northwest Patagonia (Auca Mahuida), the concentration of eggs was so rich that, in an area of roughly 300 feet by 600 feet (91 meters by 183 meters), scientists counted about 195 clusters of eggs. All dinosaurs laid eggs, making a variety of kinds of nests. Paleontologists have discovered many eggs and nesting sites in recent years, some including the fossils of not only eggshells but also hatchlings and even the mothers’ remains (Big Stock Photo).